There are so many great reasons to be a Disney Vacation Club Member! We have learned about another class offering, a Disney Vacation Club Member Cake Decorating Workshop, coming to Disney’s Wilderness Lodge. The event will be held at Reunion Station at the resort. During the workshop, guests will learn more about the overall process for decorating a cake. It will be a hands on course where guests will create their own petite, Disney-themed cake. Guests will also get to learn a wide variety of cake decorating tips so that they can create future masterpieces at home. Then at the end, each guest gets to keep their cake they completed. This event will be held most Wednesdays from 1:30 PM through 3 PM. The cost for the event is $65 per person, including taxes and gratuities. Disney Vacation Club Members that want to book this event will need to call Member Services at (800) 800-9800. Guests should be prepared to pay for the full cost of the reservation at the time of booking. Space is limited, so if you have a date in mind, you will want to book in advance. If you should need to cancel, you can do so at least 48 hours in advance without forfeiting the full cost of the class. Since this event is for Disney Vacation Club Members, a DVC Membership Card and photo ID are required at check-in. Guests must be at least 10 or older to participate. Party size is limited to 3 guests, for a total of 4 guests. 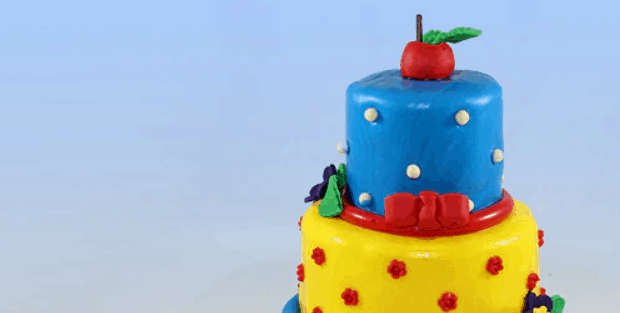 Who would love to learn about cake decorating from Disney cake experts?